Thinking about owning a Audi e-tron? Be sure to check the huge amount of automotive assets that are available online for free at the Autobytel site. Research current and past-productions Audi e-tron vehicles. Check out technical details on any automobile like dimensions, weight, horsepower, and more. 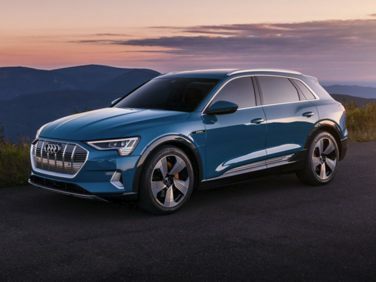 Find the invoice price on Audi e-tron vehicles. Vehicle analysis from qualified auto reviewers and those from ordinary owners can go along way in influencing your decision to buy a Audi e-tron. Browse hundreds of brand new or preowned Audi e-tron automobiles. You can do this all online from the comfort of your own home at the Autobytel site. Narrow down automobiles for sale in your area using your zip code. View a good collection of photos in the online database of Autobytel.com. Not only are there Audi e-tron vehicle pictures of the outside; but there are pics of the seats, sound system, navigation, motor, and any other cool features. By browsing lots of auto images you can find a vehicle that is desirable. Most consumers try to find an automobile that they feel is attractive. That way when you visit the car dealer lot to buy a Audi e-tron; you won’t be taken by surprise if there is an unattractive feature. Be sure to peruse the criticism and analysis from current Audi e-tron auto owners. This is a great way to see the pros and cons of each vehicle as told by regular consumers. Do not buy a new car at the full MSRP price. There are often many incentives offered by either the manufacturer or the dealer that could save you thousands of dollars. There are two types of incentives. The first is a rebate, which is an amount taken directly off the MSRP. The second is a special APR financing rate. Finally see the available inventory of Audi e-tron automobiles for sale in your area. Make sure to check the listings of vehicles online at Autobytel before you buy a Audi e-tron. Shopping for a good deal can save you money in the end.